Bryce Harper's main crime, since arriving in the big leagues, was his haircut, which was the most offensive thing not attached to a reliever's chin. Now that the haircut's gone, Harper's just a young, captivating, toolsy outfielder. Who should hate him? "We did take precautionary measures and added additional security in the right field area for last night's game," Phillies Vice President of Communications Bonnie Clark said in an e-mail. "We cannot discuss other details of the security enhancement. I am pleased to say there were no incidents during last night's game." 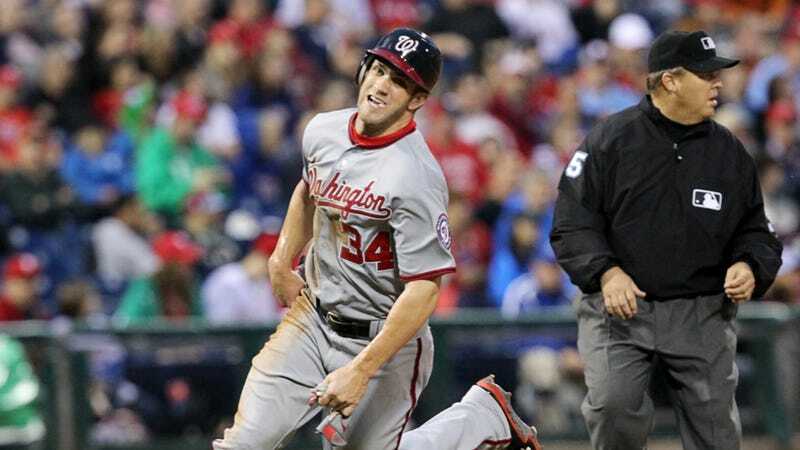 Oh, so no one threw things at Bryce Harper last night? Huh. Weird that the Phillies could make that happen.